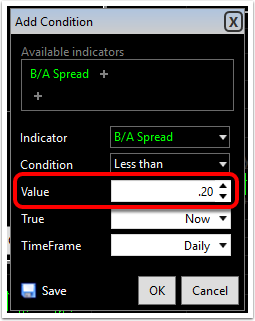 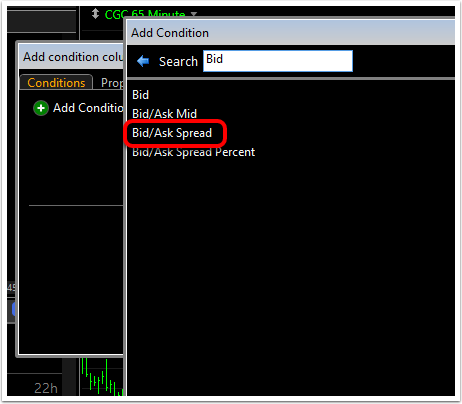 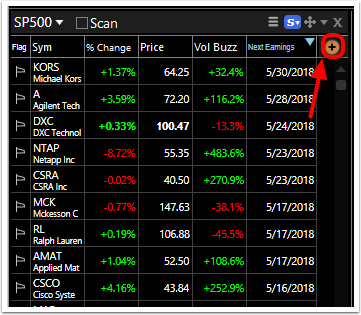 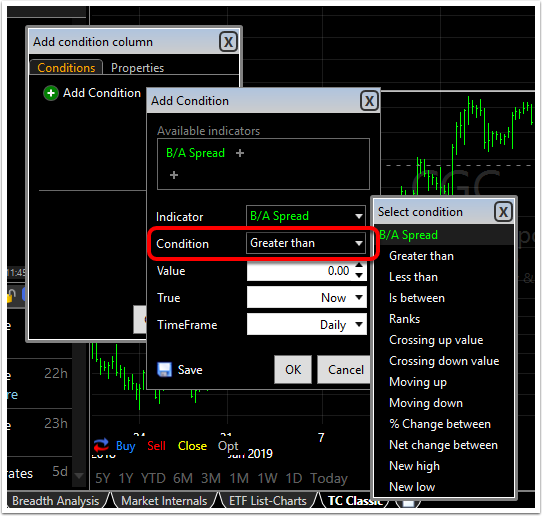 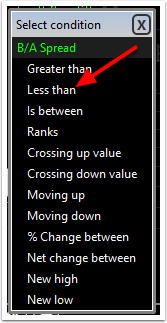 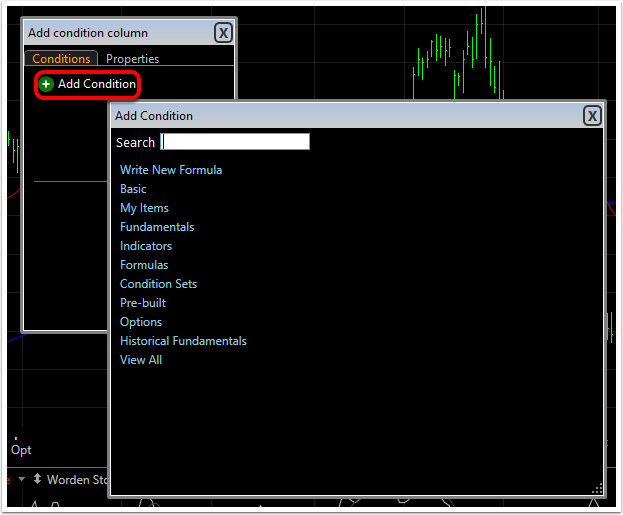 Using the new Bid/Ask Spread or Spread % data, you can now create a condition to sort (or scan) a WatchList. 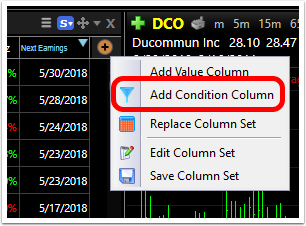 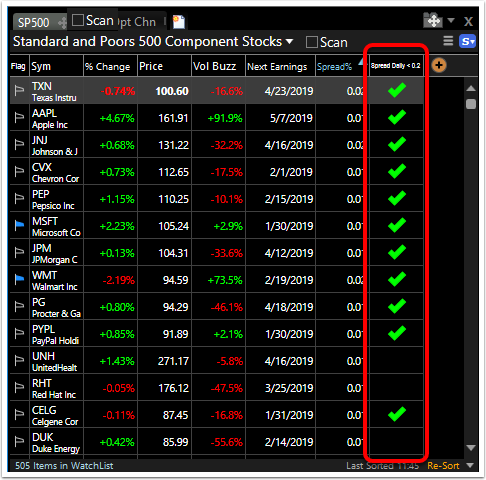 Adding a condition as a Watchlist column will place the column in the Watchlist and a checkmark beside each stock in the list which meets that condition. 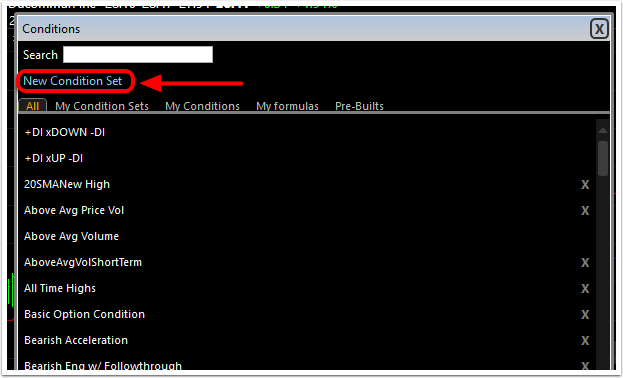 Use the type to search field to quickly access any item. 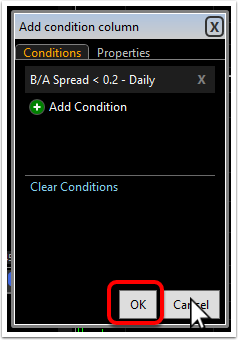 Click Save in the condition building dialog to add the condition to the Condition Library. 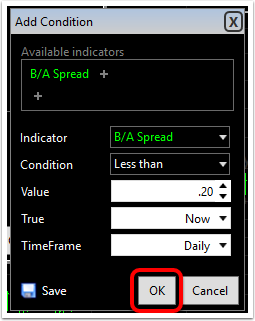 Click the condition column header to sort by the condition and bring the checkmarks to the top of the list.